Things are growing so fast, Brad’s added a new, bigger location in Denison, Iowa that opened just before Christmas, 2014. The self-description in the “about us” section on their website at bwoutfitters.net as “up and coming” doesn’t even scratch the surface. 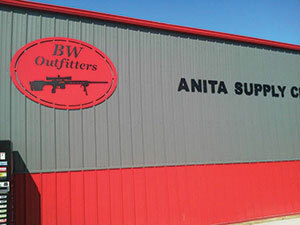 BW Outfitters keeps between 600 to 700 listings active on GunBroker.com with a high percentage of those being new guns he acquires from the four distributors he works with. Because of his large volume of sales, he’s quickly become a preferred dealer and that allows him to find the extra-hard-to-get guns his 30,000-plus customers want. Brad says, “We specialize in hard to get guns. Because we do such a volume of sales, the salesmen at the four wholesalers will get me whatever we need because I buy everything!” Last year BW Outfitters sold 12,000 firearms. Not only has Brad built a solid, repeat customer base on GunBroker.com, he’s made friends with buyers from all over the country. He even goes elk hunting every year with some of his customers from Louisiana and stays in regular contact with many more. 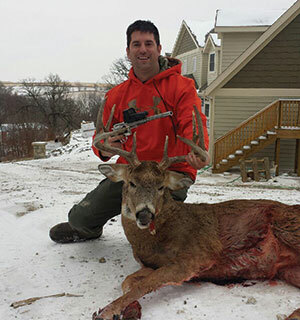 He deserves, at least one vacation a year since in addition to running his firearms and accessory business, Brad’s a full-time law enforcement officer with 16 years on the job.